A crowd-sourced Tool for helping people improve their communities and connect with their neighbors. 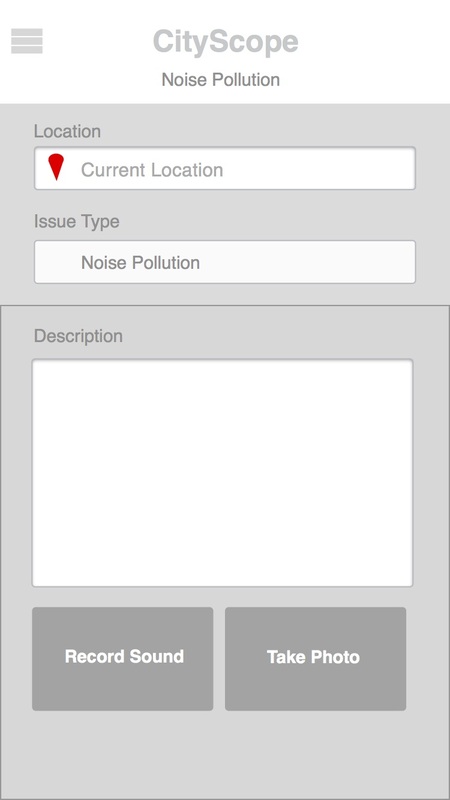 Create a mobile application that allows citizens to collectively share measures of noise in order to monitor a city for noise pollution. We created Calvino, a crowd-sourced tool for improving neighborhoods. 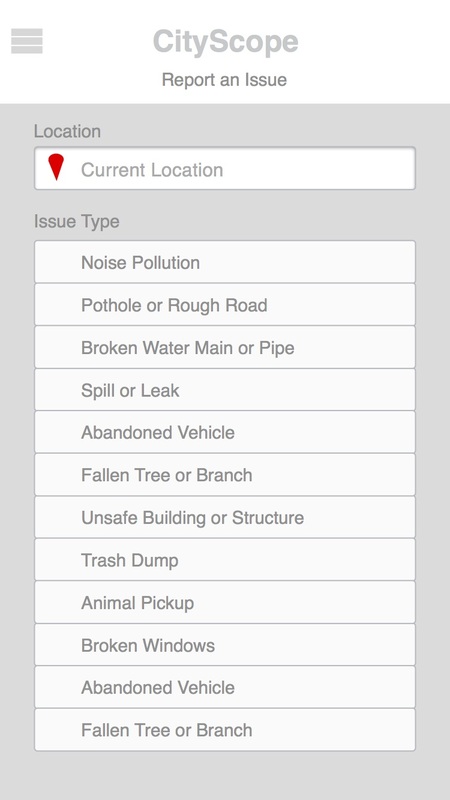 It allows people to mark issues that need attention, like broken fire hydrants, noise pollution, or unsafe structures, and communicate with officials in their town to resolve problems and create a sense of community. I learned how to design for multiple user groups with different goals, and how to think critically about a design prompt in order to create something meaningful for all parties. I learned how to give a powerful product pitch and design a crowdsourced application. The following information and personas were provided to us as design constraints. We used ecosystem collection sheets (sets of questions about the project) to gather our current knowledge about the topic and reach consensus in the group about what we did and didn't know. This was helpful as both an information gathering exercise and a team strengthening exercise, since it ensured we were all working from the same foundational knowledge and point of view. We did some internet digging and learned more about noise pollution problems in different parts of the world. We began to think about different types of noise pollution - rural vs. urban, indoor vs. outdoor - and how they affected people's lives and the environment. We also started to brainstorm what it might look like to track these various types of noise pollution and under what circumstances people would feel motivated to help. Early on in our brainstorming, we started to think about and sketch various types of solutions to these problems using storyboards and scenarios. 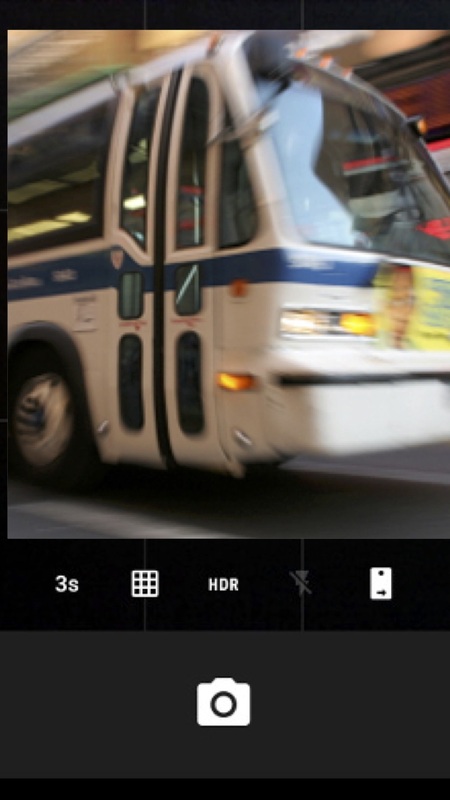 We thought about making a mobile application that motivates citizens to take noise samples in different areas of the city by gamifying the sampling and creating competition among social circles. 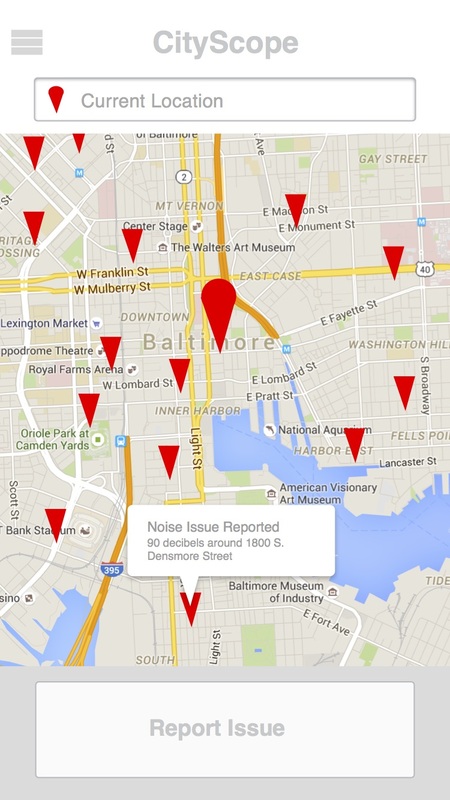 We also explored the idea of tracking indoor noise pollution in restaurants and bars. This exercise helped us think critically about how participants might discover the application or whether they would feel motivated to continue using it over time. As we continued to brainstorm new ideas and analyze our old ones, we came up with a group of written scenarios that defined the application that would later become Calvino. Writing short snippets that demonstrated how we wanted our users to interact with the app helped us reach consensus and move into lo-fi prototyping with a clear sense of their needs and use cases. Our final result, Calvino, encourages people to collect noise pollution samples, among other things, and benefits both of our personas. It gives Aya a way to participate in both community improvement and citizen science while using her phone. 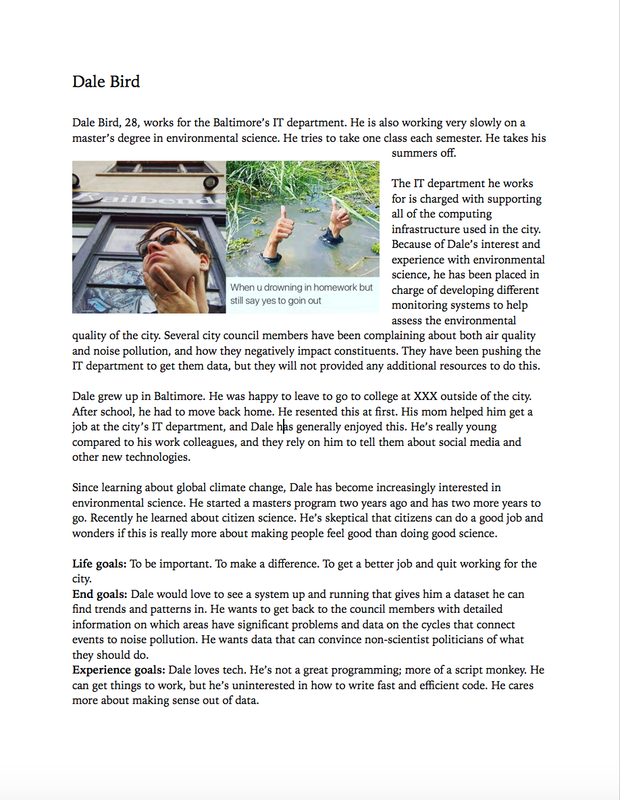 It also gives Dale a way to create meaningful data at his job and use his coding skills to create reports on the back-end. Lastly, it's meaningful as a way for officials to track improvements and quantify their value to the city. If you have trouble with the click-through demonstration below, you can visit this link instead.